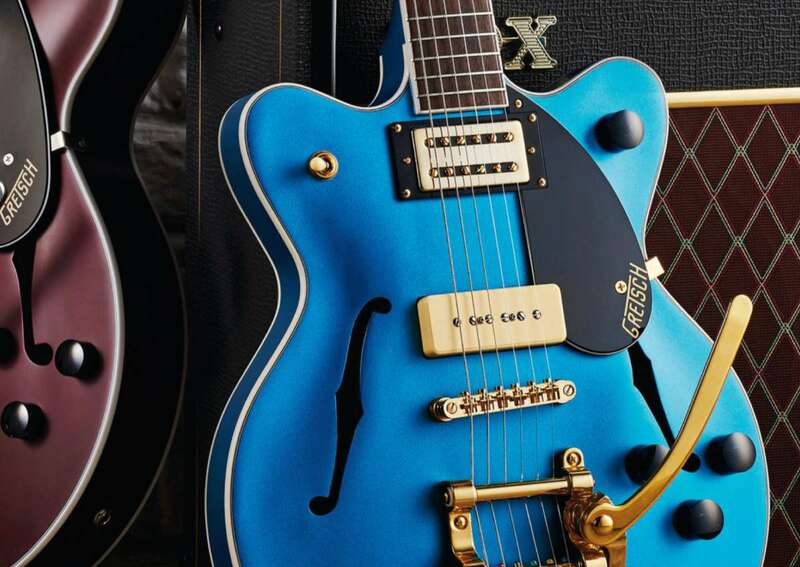 The Gretsch G2420T-P90 Limited Edition Streamliner™ Hollow Body with Bigsby® and G2655TG-P90 Limited Edition Streamliner Center Block Jr. both gained a new fan and a rave review from Guitarist magazine’s Dave Burrluck in the November issue. 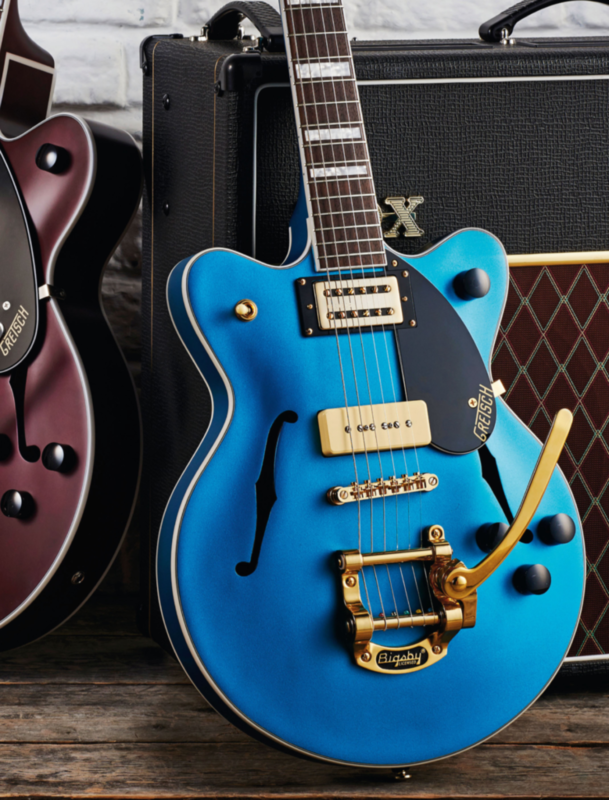 Unlike other Streamliners in the line, these limited edition offerings pack a unique pickup combination of a Broad’Tron and a P-90, which gives the hollow bodied G2420T its snappy bluesy twang and the smaller-bodied G2655TG its punchy jazzy tones with a hint of fuzz. “The P-90s give each guitar arguably more validity turning the [G2655TG] into a punkier proposition, and the [G2420T] into a slightly more characterful and jazzier or Texas swing kinda piece,” said Burrluck. Burrluck also applauded these models for their vintage aesthetic and versatile, contemporary features at prices that won’t break the bank. These qualities ultimately awarded the G2655TG the “Guitarist Choice” accolade. 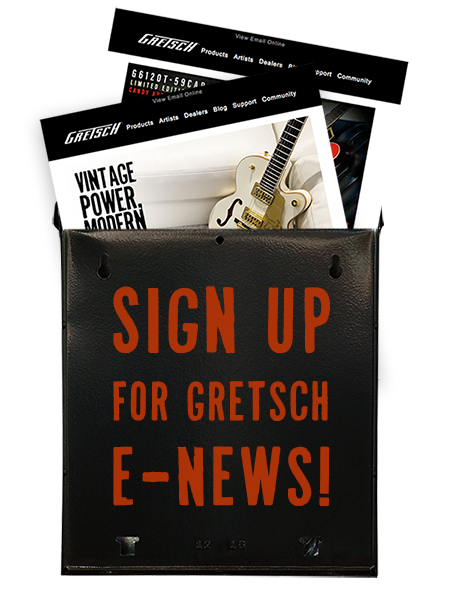 “These Streamliner models offer any of us on a budget a taste of Gretsch with a bit more ‘oomph,’” said Burrluck. The G2420T is offered in Midnight Wine, while the G2655TG is decked in a Riviera Blue Satin finish. Read the full review for the G2420T-P90 here and the G2655TG-P90 here.